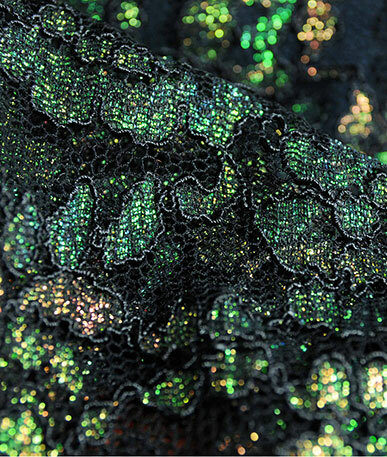 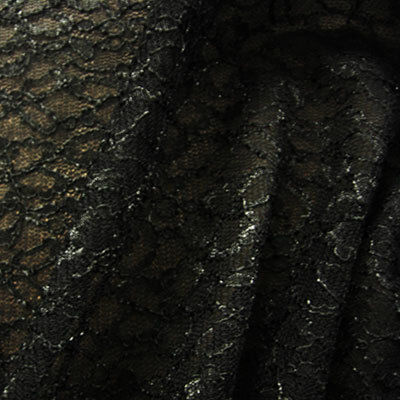 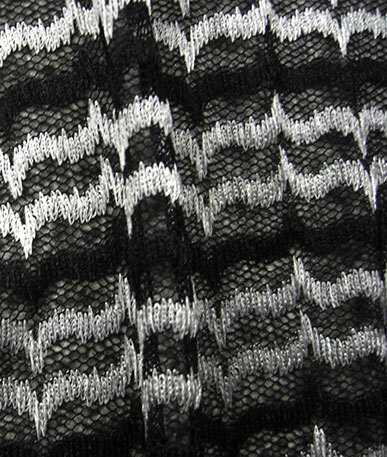 Get a sample of "Black Lace"
Beautiful lace fabric in a choice of black or navy blue. 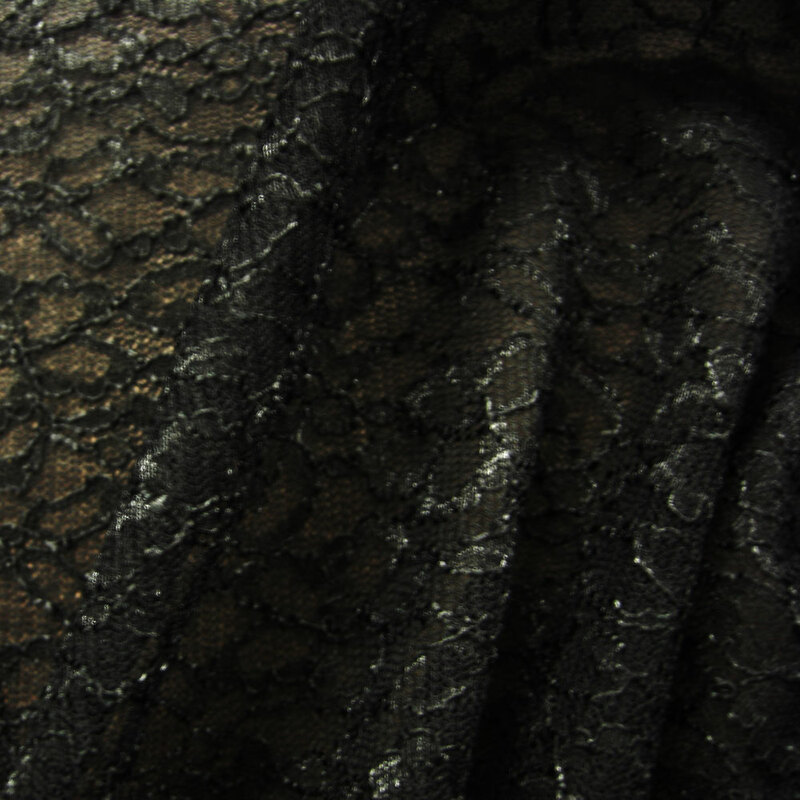 This dark patterned lace has a fair amount of stretch in it, so you can use it on close fitting clothing like fitted dresses, leggings and lingerie. 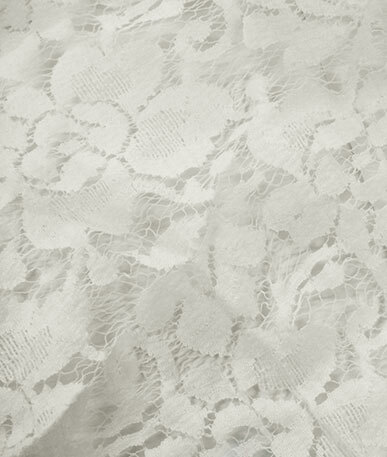 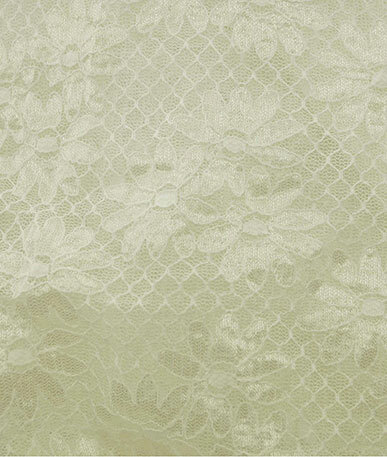 The pattern on the lace is an abstract design which could be seen as foliage. 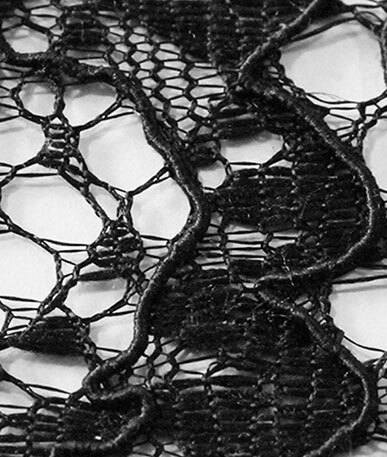 The design uses different layers to create a pretty pattern in the lace; the mesh background is woven with fine elastic cord which makes the shapes in the pattern. 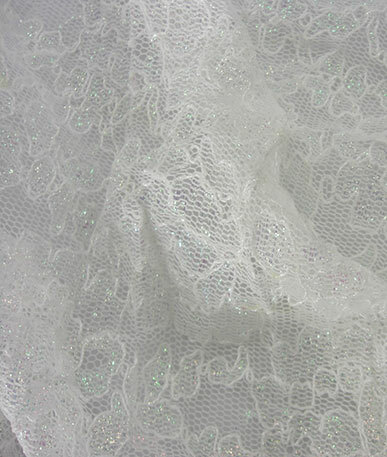 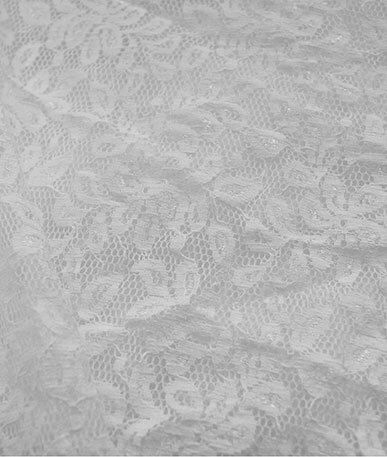 Highly reflective thread which adds a fine lustre to the lace is then interwoven following the pattern. 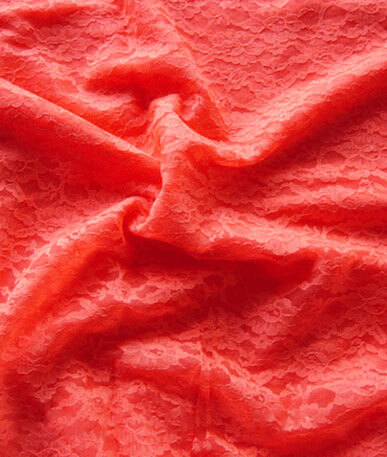 The stretch aspect makes this lace ideal for clothing; you could make slinky fitted dresses, leggings and tops for casual or lingerie. 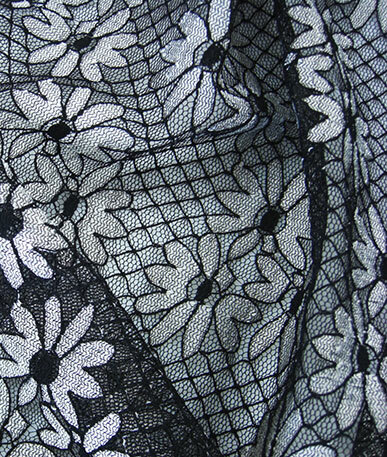 The navy and black lace would also work well for drapes and window netting for a more dramatic look, the fine cord within the fabric adds a little more weight than average lace so it hangs particularly well for ornate displays.